The presented room availability, rates and discounts are actual and final for all our 287 hotels in Cologne. The City Hall. The first documental record about the City Hall belongs to the period of 1135-1152. At that time is was called The Citizen House. When the city got the status of a free city-country, it was decided to add a tower to the City Hall. The tower has late gothic style and it's decorated with more than 130 stone statues. This is the building, where the well-known 'Platz-Jabbec' is located (it's a mystic face, which opens its month and shows its tongue every time the currants start ringing). In 1569 William Fernukker added a Renaissance outhouse to the front. This City Hall bower was saved during the Second World War; unfortunately we can't say the same about the building of the City Hall, which was destroyed by fire. The reconstruction of the building became the symbol of the revival of life. In 1950 Cologne craftsmen created the 'workshop of builders and stone dressers for the City Hall reconstruction'. Louis Museum. Louis Museum is a great place to get acquainted with modern German art. 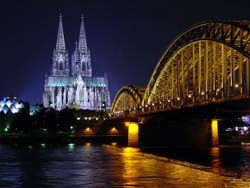 The museum is situated behind Cologne Cathedral in the centre of the city. The museum exhibits works of different times, starting from the previous century till the present day. The section dedicated to American pop-art is the most famous one. It features the largest collection of works in this style outside the US. It contains works by Andy Warhol, Jasper Johns and Roy Fox Lichtenstein. There are also numerous works by Picasso. Roman-Germanic Museum. The Roman-Germanic Museum is the place where unique archaeological objects are exhibited. They were found during the excavations on the site of an ancient Roman town, in the territory of which Cologne was built. The museum was built on the ruins of the Roman villa of the 3rd century and opened in 1974. 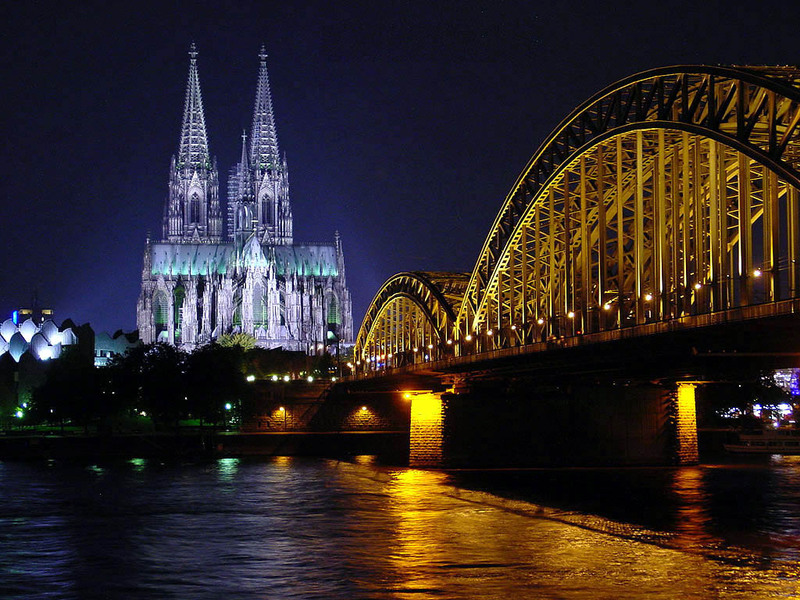 The museum is located not far from Cologne Cathedral. The mosaic depicting Dionysus is, without a doubt, its greatest exhibit. The floor made of ceramic tiles of 225 AD once used to decorate the villa.